Chocolate the way nature intended, naturally! Rich in essential superfood nutrients that will feed your vital force & nourish your soul. Perfect for this upcoming fathers day! Sprinkle evenly over your chocolate the chopped white mulberries and whole blueberries. The berries will set into the chocolate. 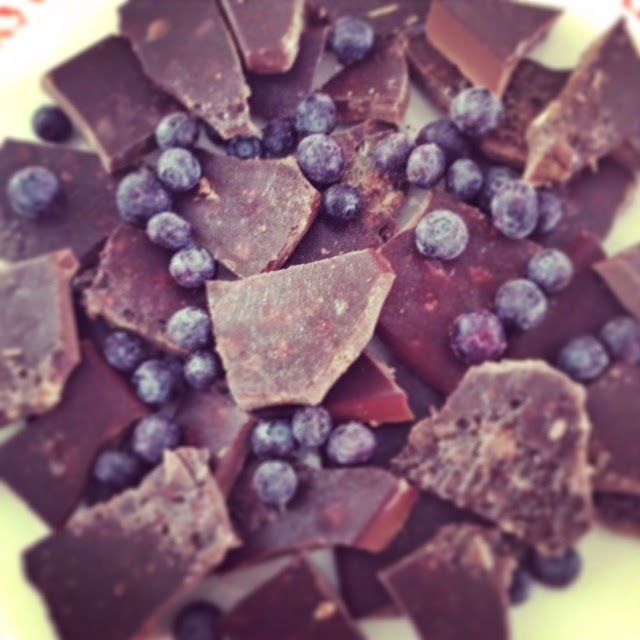 you can store in your fridge for up to 10 days if you don't use the blueberries and this chocolate will keep in the freezer for weeks.